4k00:12Paraglider flying high in the clouds. 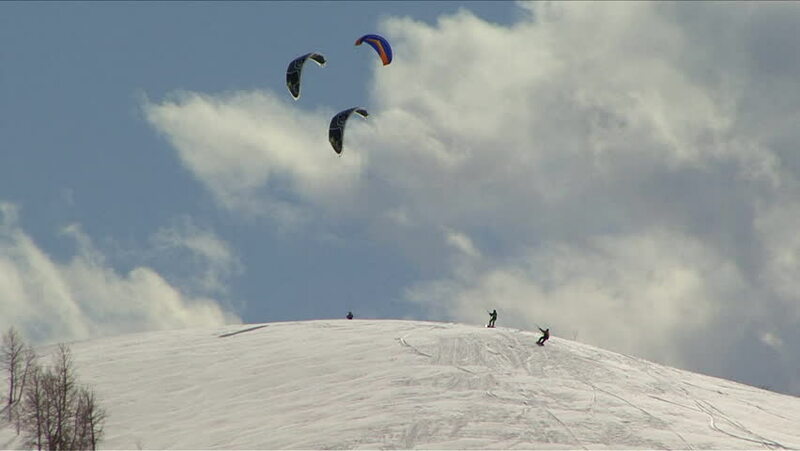 Air sport and recreation. A powered paraglider - a glider with a dorsal power plant, providing the rise and moving in the air.